Managed access control, or keyless entry, is one of the easiest, most cost-effective ways for you to increase security. You have more to worry about than burglars in the middle of the night; you need to protect your physical and intellectual property and reduce risks of workplace violence. Our access control allows you to track and restrict who goes where and when. This limits risk of internal theft and external threats. Controlled access gives you more oversight of your facility's activity while saving you money and time. How Is Sonitrol's Integrated Access Control Security Different? Sonitrol's Access Control Security is not only integrated with all our other Security Technologies, but our Central Monitoring Station manages the integrated access control. 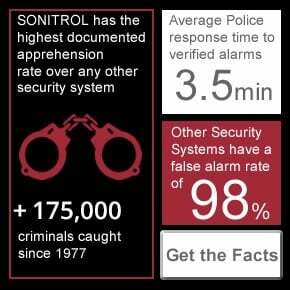 Sonitrol is a fully integrated security system so access doors can be programmed to be open on certain shifts. If our intrusion system is armed the doors will not unlock. This means if employees do not show up for work the doors will not unlock until the security system is disarmed. If employees leave early and arm the security system the doors will lock. With a conventional alarm company - they provide an access system that is not integrated and so the doors will unlock as programmed….. Regardless if the staff are on site or not…… think snow days….. Employees don’t make it to work …. and then what happens? Sonitrol access management system is integrated with our Sonitrol intrusion detection system so different employees can have different access levels. Employees who are authorized to open the facility will be allowed access and be able to disarm the security system. Employees who are not authorized to open the facility will not be allowed access to the facility when the security system is armed. With a phone call to our central monitoring station staff you can make changes to the access system, at any time, add employees, delete employees, change access levels and door locking/unlocking shifts. You'll benefit from having your mechanical locks and keys replaced with electronic locks, badges or cards and readers and that will give you a lot of control over the security of the entire system. Our technology eliminates the expense of re-keying or changing locks when an employee leaves. Automatically regulating access reduces the need for on site security personnel. The system allows for temporary access by visitors and vendors. We deliver controlled access easily integrated with our other services. Sonitrol Western Canada's access control systems allow you to activate or deactivate your building's security system with a single programmed key card. No more complicated key codes and procedures. Specific areas may be accessed through individual key cards allowing you to track and control activity in and out of sensitive zones of your facility. 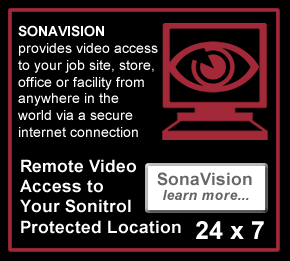 With the Sonitrol Managed Access Control system, you track and limit entry to buildings and sensitive areas of your Vancouver business, providing protection for valuable information and data, and the safest work environment possible for your employees. When an employee leaves, or is reassigned, our uniquely designed access control cards are easily deactivated. And updated or new cards can be issued whenever needed. No more lost keys. Eliminate the expense of installing new locks or re-keying. The Sonitrol Managed Access Control system is seamlessly integrated with Sonitrol’s Audio detection system so you can activate your building’s security system with a programmed key card, meaning complicated codes and procedures are eliminated. Sonitrol’s audio detection system is on duty 24/7, protecting your facility from any point of entry – not just doors and windows. Just one keypad does it all. Sonitrol Managed Access Control and Audio Detection systems are user friendly. Sonitrol leads the way in security technology and our mandate includes providing you the latest technology available today in access control – from the standard, hands free proximity card to smart cards to the use of biometrics such as finger, hand, or retina identification. Access control cards are available in a wide variety of formats, including Custom Cards, Photo ID Badges, Key fobs, and more. Today’s businesses have more than burglars on their minds. You Know What’s at Risk. Losses due to internal theft can range from $20 to $90 billion annually to upwards of $240 billion a year when accounting for losses due to intellectual property theft. Violence in the workplace accounted for 18% of all violent crimes between 1993 and 1999. Growing businesses and companies with less than 100 employees are the most vulnerable to these types of losses. You can’t keep everyone and everything locked up. But you can give yourself easy-to-manage, effective security with the Sonitrol Managed Access Control system. Limiting entry is only part of a complete security management system. The Sonitrol Managed Access Control system can be programmed to interact with all other aspects of your Sonitrol security system. Authorized individuals can use a Sonitrol Managed Access Control card to arm or disarm your building’s security system. Sonitrol’s Intrusion Detection system, for example, can be programmed to automatically shut off when a designated employee enters your facility in the morning. Accommodates as many different schedules as you need. Allows for temporary access by visitors, consultants and others.